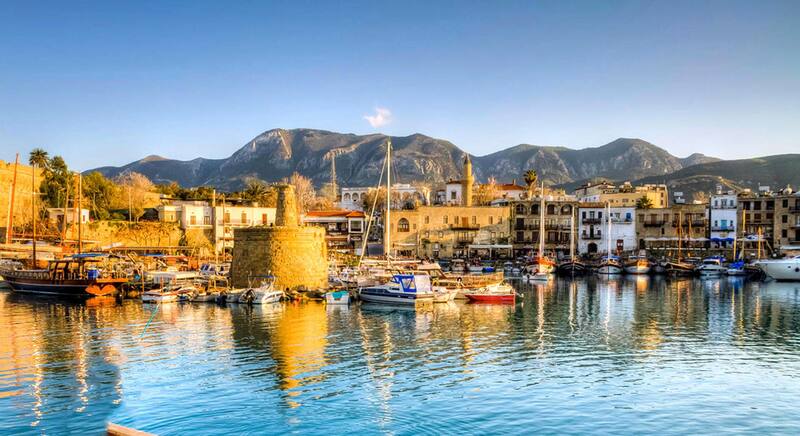 The history of Cyprus with its rich and varied past has to be looked at as a whole. It covers more than ten thousand years starting with the early settlers navigating their way to the island from all the countries in the Mediterranean. From what is now southern Anatolia, eastwards to Syria, Palestine, Egypt, Libya, etc. nowhere is more than a couple of days sail in a good wind. Stone Age artefacts have been found all over the island and dated to circa 7,000BC. Cave dwellings and early settlements have been found in the slopes of the mountain ranges. The area around the village of Catalkoy is steeped in history spanning the years between the Neolithic and Bronze Age periods, firm testament that Cyprus was well populated at that time and starting to be a commercial power with the real towns and trading centres of Salamis, Soli and Paphos developing. During the various stages of the Iron Age, Cyprus was beset by natural disasters such as devastating earthquakes that slowed commercial development resulting in a trade shortfall. However the people were not deterred and with the coming of the Phoenicians local enterprises and industries were given a commercial boost. Over the period leading up to the Roman Empire taking over the island, Cyprus was controlled by and paid taxes to its overlords from afar. Assyria, Egypt and Persia all made money out of Cyprus, with the Persians permitting some of the city states to mint their own coinage. Worship and differing religious beliefs were assimilated and adapted by the Cypriot people and included the Gods and Goddesses of the Greeks, Egyptians and Phoenicians. Many tomb finds have included terracotta figurines of deities, most notably at Akdeniz on the west coast, where over 2,000 statuettes were found. These are exhibited in the south Nicosia museum. Alexander the Great was responsible for freeing the island from Persian tyranny and after his death there was a brief period of unrest as two of his generals fought for supremacy of the island. During the Ptolemaic period of rule in Egypt, Cyprus was an Egyptian province trading with the great cultural centre of Alexandria. The effect of the Egyptian Empire on Cyprus is still very evident today with the layout of its ancient cities in the Hellenistic style, though super-ceded by Roman architecture, and the introduction of the Greek alphabet. The last two thousand years have seen the island ruled by a succession of colonising powers from the Romans, the Byzantines, Lusignan French, Venetian, Ottoman, and British until finally after much internal strife the island was granted its independence in 1960.